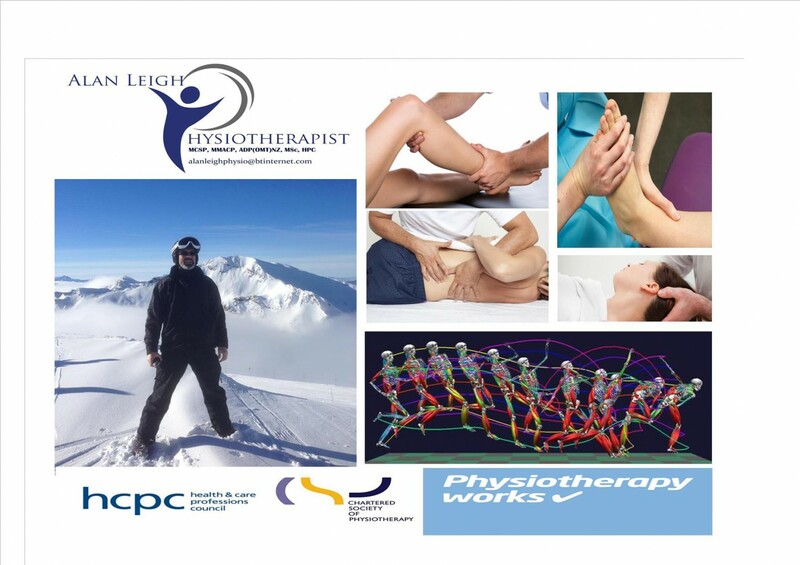 My name is Alan Leigh I am a physiotherapist of over 30 years experience in physiotherapy. I live and work in the glorious county of Shropshire near the pretty market town of Shrewsbury. Like many people I arrived in Shropshire on route to somewhere else and just fell in love with the area (and met my wife and soul partner here – so win all around). I have worked in many parts of the world but this is home. I studied at Cardiff and subsequently completed and advanced diploma in manipulative therapy from Auckland New Zealand in 1992 and completed an MSc in manipulative therapy back here in the UK. I am interested in treating a wide range of musculoskeletal problems, sports and activity related injuries, help people with PAIN in it’s various disguises, lower limb and feet bio mechanical problems …… AND am particularly interested in the language of medicine, suffering and HEALING – & how to help my clients understand what it is that ails them and how to HEAL !! I hope my site and my thoughts help you. I am interested in hearing form you to… Thank you. Why ALPs?? it fits with my website name !! I love the ALPs as a place, and getting better can feel very hard work like climbing a mountain or flaying down hill on a pair of skis but with help just maybe things can be made easier. And …the logo dosen’t say Hysiotherapist ! I know it sort of does ! But I am a Physiotherapist .. Honest !